Wing Tsun Kung Fu Vancouver Blog - Odds against you? Wing Tsun Kung Fu! The Equalizer. Ralph Haenel, learning and teaching Wing Tsun Kung Fu since 1984. Changing lives, one punch at a time. Changing lives, one punch at a time. 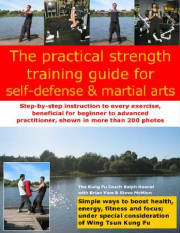 The practical strength training guide for Wing Tsun Kung Fu (Wing Chun, Ving Tsun) practitioners and fitness enthusiasts. Siu-Nim-Tau, a Wing Tsun Kung Fu form for WingTsun (Wing Chun, Ving Tsun) practitioners and fitness enthusiasts. The photograph on the left was taken by our Tony Leung, member of Wing Tsun Vancouver's trainer team, during his April vacation in the Shenzhen Special Economic Zone, China - just by the entrance way of a subway station. Tony wrote: "The Chinese fast food chain is called "Real Kungfu" and they have obviously borrowed Bruce Lee's likeness from the "Game of Death" movie. I wonder if the food chain pays any royalties to Bruce Lee's family?" It's time for some weekend reading. In case you haven't discovered it yet. 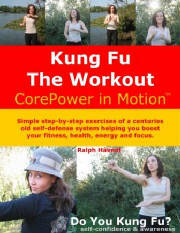 Enjoy the following bonus download, courtesy of Wing Tsun Kung Fu Vancouver. The author, Edmond Chow is also a member of the trainer team of the first Canadian Wing Tsun School in Vancouver, British Columbia, Canada. On a vacation trip to his home city of Guangzhou, China which is very close to Foshan, the late grandmaster Yip Man’s home city, he decided to take this opportunity to fulfill a Wing Tsun pilgrimage. Find on 22 pages many photos and brief descriptions of this memorable trip. Please click here to download the 4091 kb PDF file (www.realisticselfdefense.net/pdf/Visit_to_Yip_Man_Tong_2.pdf). In an unprovoked assault, Wing Tsun Kung Fu provides the practitioner with a realistic approach to self-defence. Before we can examine the Wing Tsun method and it’s legal ramifications we need to define a typical self-defence scenario. First, lets start with some typical suppositions. • The aggressor of a conflict is typically larger or believes he is more powerful than his chosen target. • The aggressor is not going to follow any rules or codes of conduct during an altercation. • For simplicity we will assume that no other participants are involved and that there is enough room and the environment is not too loud. During the initial phase of a conflict, an aggressor will often attempt to talk his way into a closer more threatening distance. This allows the aggressor to gauge the willingness of his chosen target to play the role of victim and to gain the advantage of position. When a conflict begins the Wing Tsun practitioner retreats both visibly and audibly. The stance appears to be both natural and non-aggressive. This retreat allows Wing Tsun practitioner to gain the advantage of position without appearing to do so. The hands are held up in front of the body in a non-threatening manner yet the posture in neither meek nor timid. The hands are, in fact, in a ready position to be used in what Wing Tsun practitioners call an aggressive defence. The term means simply that the hands and feet can be used simultaneously for attack and defence. The use of one’s voice is the second component of this “retreat” and is in many ways the most important one. A Wing Tsun practitioner learns to yell in a commanding tone at his aggressor. He may say that he doesn’t want to fight or perhaps simply “Stay away!” The shout acts as a verbal first strike and immediately puts the aggressor on the defensive. The intention here is to surprise or embarrass the attacker and should rob him of his opportunity for the first physical strike. This buys the Wing Tsun practitioner time and possibly space and puts him in the “ready” position. From this ready position the Wing Tsun practitioner gains the first strike opportunity. Typical Wing Tsun training methods subject the students to high stress levels and a visual overload of attacks. This mentally conditions them to react quickly and cope with highly stressful self-defence situations. This conditioning aids the student to deal with the physical threat before being overloaded with his own adrenalin. In addition, Wing Tsun arms its students with 4 fighting principles, 4 strength principles, and reflex training. With this training even the novice Wing Tsun practitioner can advance like a magnet attracted to his opponent rather than retreating. Because of Wing Tsun’s economy of motion, the altercation will be over too quickly for most onlookers to say with any certainty what actually happened. Therefore, in a successful Wing Tsun self-defence encounter, as the aggressor begins his assault his attack will be stopped while at the same time counter-attacked. If the aggressor attempts to block, the Wing Tsun user will turn each blocked strike into another continuously flowing counterattack. He continues to overwhelm his attacker until the aggressor is either unwilling or unable to continue to attack. A more advanced Wing Tsun person might be afforded the choice to use soft controls. These are, however, decisions that must be made in a split second based on both training and any other factors that exist at the time of the assault. Therefore, it is important to note that the WT practitioner must be careful to use enough force but not excessive force. The Wing Tsun person gains several legal advantages. First, he appears unwilling to fight. Although the Wing Tsun practitioner may actually be willing, it is the appearance that is important. This attempts to establish the lack of guilty intent. Secondly, by shouting he also attracts the attention eyewitnesses. Although considered to be the weakest form of evidence, most self-defence cases lack any other corroborating evidence to the initial stages of the fight. Lastly, by retreating the aggressor is also allowed the option of retreat. A final note, which does not apply specifically to Wing Tsun, is that any assault or attack that the victim can walk away from uninjured is the only way to describe truly successful and effective self-defence regardless of how the legal system works. It is arguably better to be alive in prison than dead. 26. Every one who is authorized by law to use force is criminally responsible for any excess thereof according to the nature and quality of the act that constitutes the excess. In a self-defence situation, the attacks may escalate to the point of homicide, which is the killing of a human being by another. If, as we covered earlier, one is justified in the use of force, it is not culpable homicide. In other words, there is no blame. However, if it is determined that excessive force was used then no longer can justified force be claimed as a defence. This now becomes either murder or manslaughter (i.e. culpable homicide). The difference between murder and manslaughter boils down simply to intent. Keeping this in a self-defence context, it has two ramifications. A jury will decide first whether your fear of death was reasonable and secondly whether or not there was “intent” or “mens rea”. Unfortunately, some courts have fallen prey to movie mentality of martial arts and believe that martial artists should be able to disarm or handily defeat multiple opponents without truly harming them. This is problematic because television and film do not necessarily reflect reality. One may be criminally responsible for any excessive force used, and what is an ordinary blow from an ordinary person may be construed as excessive from a trained individual. S34. (1) Every one who is unlawfully assaulted without having provoked the assault is justified in repelling force by force if the force he uses is not intended to cause death or grievous bodily harm and is no more than is necessary to enable him to defend himself. S36. Provocation includes, for the purposes of sections 34 and 35, provocation by blows, words or gestures. S37. (1) Every one is justified in using force to defend himself or any one under his protection from assault, if he uses no more force than is necessary to prevent the assault or the repetition of it. (2) Nothing in this section shall be deemed to justify the wilful infliction of any hurt or mischief that is excessive, having regard to the nature of the assault that the force used was intended to prevent. These sections of the Canadian criminal code cover four important points regarding self-defence. First, what constitutes self-defence in an unprovoked assault? Second, what constitutes self-defence in a provoked assault (i.e. you started it)? Third, what constitutes provocation? Last, what constitutes prevention of assault? • Precise force is not necessary. • Use only necessary force; trained individuals are regarded differently on this point. • Mistakes can be made but must be reasonable. Trained individuals may be regarded differently on this point. The last three points when applied to trained individuals can best be summarized by Stan Lee who in his Spiderman comics said “With great power comes great responsibility”. In other words, the right to use force is balanced by the responsibility to act reasonably. Interestingly, section 35 also covers self-defence in the case of a provoked assault. To paraphrase, if you start a fight and your victim escalated the use of force with deadly intent then you may be justified in using deadly force in self-defence, if you were not trying to kill or “harm” him in the provocation and if you tried to retreat from the fight when the escalation of force occurred. The reverse may also be true; if someone starts a fight with you and you respond either verbally or with an action that puts him in fear of his life, he maybe justified in the use of deadly force as long as he tried to retreat and could not. Section 36, which states provocation can be blows, words, or even gestures, clarifies this further. Come back tomorrow, to read the third and last part. The following is designed to be a simplified overview based on judgements passed by the appeals court of Canada. Focus is given to five main topics: justified use of force, excessive force, self-defence against an unprovoked assault, self-defence in a provoked attack, and finally how the Wing Tsun Kung Fu system can be used to defend oneself without breaking the law. Canadian law allows individuals the right to defend themselves from assault by use of reasonable or proportional force including the use of a weapon. An attempt or threat to apply force also constitutes an assault. To prevent this right from being abused, there are several restrictions on the use and possession of excessively dangerous weapons and the use of excessive force. These rights and restrictions are laid out in the Criminal Code of Canada. A judge and/or jury then interpret these laws by using previous judgements as guidelines. In Canada, as in the United States, a person charged with a crime is considered to be innocent until proven guilty. The defendant or the defence counsel must try to convince the court that some acts normally considered to be illegal are authorized in certain situations. One of the interesting things in Canadian law is the concept of “mens rea” or guilty intent. “Mens rea” is defined as “a guilty mind; a guilty purpose; a criminal intent. Guilty knowledge and willingness.” Essentially, to be guilty of a crime you must have intended to commit a crime. If we agree that some acts of force normally considered to be illegal are authorized in certain situations, we need to define when one is justified in using them. Is, if he acts on reasonable grounds, justified in doing what he is required or authorized to do and in using as much force as is necessary for that purpose. (2) … (not applicable, deals with process serving). (3) Subject to subsections (4) and (5), a person is not justified for the purposes of subsection (1) in using force that is intended or is likely to cause death or grievous bodily harm unless the person believes on reasonable grounds that it is necessary for the self-preservation of the person or the preservation of any one under that person's protection from death or grievous bodily harm. (4) A peace officer, and every person lawfully assisting the peace officer, is justified in using force that is intended or is likely to cause death or grievous bodily harm to a person to be arrested, if the peace officer is proceeding lawfully to arrest, with or without warrant, the person to be arrested; the offence for which the person is to be arrested is one for which that person may be arrested without warrant; the person to be arrested takes flight to avoid arrest; the peace officer or other person using the force believes on reasonable grounds that the force is necessary for the purpose of protecting the peace officer, the person lawfully assisting the peace officer or any other person from imminent or future death or grievous bodily harm; and the flight cannot be prevented by reasonable means in a less violent manner. This section of the criminal code covers three important points regarding justified use of force. First, one must act on reasonable grounds. Second, only use as much force as necessary. Finally, cause death or grievous bodily harm only if on reasonable grounds such force is necessary to protect oneself or someone else from death or grievous bodily harm. These three points are always discussed in cases concerning justified force. Every situation will be judged individually. Juries are directed to keep in mind two main points. First, the defendant’s perception of danger as it existed at the time. This means if a person perceives his situation to be dire, he is justified in using force. Secondly, the force used cannot be measured with exactitude. In other words, there is no need to stop mid-combat and measure how much force is necessary to use. It does, however, mean that ones actions will be judged based on what an “ordinary and reasonable” person with similar skills would do in a similar situation. This is commonly referred to as “the reasonable man test”. The court seeks to answer two questions; were the actions warranted and were they reasonable? The courts determine what is “warranted” and “reasonable” by considering four main points. Primarily, was force a necessary response? For example, if someone bumps into you, either accidentally or on purpose, you don’t immediately strike him with everything you’ve got. Reasonable responses in this case could include but are not limited to an apology by either party or attempting to leave the situation. Secondly, was the force reasonable to stop the assault? In essence, force can be met with the same force or a small escalation of force. Here lies one of the most important points. What is a small escalation of force? Exact definitions are difficult to make. In a fight, one of the participants might pull a knife intending to scare the opponent away. This escalation of force may allow the opponent to legally escalate the fight into a life or death situation as the opponent could reasonably interpret this action as an attempt to cause grievous bodily harm or death. Thirdly, was the injury inflicted proportionate to the threat? If someone bumps you, you are not justified in backing over him with your car. However, if you are a small person faced with many larger armed opponents perhaps driving through them is appropriate. Finally, did the “defence” become “revenge”? The last point deals with the continuation of attacks to punish or take revenge after the conflict is over. Obviously the criteria of “reasonable” are grey areas subject to interpretation. Keep reading the next days, come back for part 2 and 3. The second day was no too dissimilar from the first where we started the class moving through the Siu Nim Tao, reviewing the last seven self defense movements and learning more variations from the initial movements from the first class. Probably the most encouraging thing that I noticed over my two days was that the class, lead by Ralph Haenel, is lead by someone that has a sense of humour about things that helps to make things more fun and relaxing than anything else. Not only that but there is also a training staff with great experience to help you along your progress if you have any questions or that might have words of advise to help you along with your development. So if you’re looking for a way to get some exercise of a different kind without any elongated stretches and a boiling room, studying Wing Tsun might be the answer you’re looking for. Not only do you get a great workout, but you also get to learn about a real self-defense that places you in real life situations in an atmosphere that is fun and relaxing. Wing Tsun Kung Fu is self defense based on natural movements that helps to relaxed body and mind with flowing movements. The next special topic seminar is scheduled for Monday, September 24th and Wednesday, September 26th, 2007 (7-10pm). When I stepped into the class of about thirty, I had no expectations and kept an open mind. Wing Tsun Kung Fu (WT) is a martial art based on natural flowing body movements. The main objective of Wing Tsun is to be a realistic system of self-defense, but does not focus on fighting “techniques”, instead relying on fighting and energy principles to be followed at all times. On the both of the two days I spent in class we started off by moving fluidly through the fundamental building blocks known as the Siu Nim Tao. These are the movements that give a foundation to balance and body structure. I found that the movements help to release the mind from the body and drift your focus on making the movements flow as naturally as possible. From here the class was split into their respective groups in order of experience and placed with a partner. Throughout the remainder of the class, Sifu Ralph Haenel took us through seven hypothetical situations of what an attacker might and more importantly what we could do as a reactionary measure in order to protect ourselves. All of the movements made sense and did not require much thinking. One of the greatest things about this class is the fact that everyone is there to train at their own pace and encourage each other. Not to mention getting a rigorous workout. To be continued on September 12th, 2007. The presentation part was actually fairly good, with a lot of emphasis on how WT was designed as a functional self defense system and it seemed to hang together pretty sensibly. Most of us attending had some experience of some sort (some had a lot of martial arts training as it turned out), so Ralph just did a few simple attacks on each of us to see how we fared. It was a good thing it was just a show, because no one could stop even simple strikes or grappling moves. Then, Ralph had everyone attack him. No one could lay a hand on him, no matter what we did. When he did let us get a hold of him, all the locks, arm bars and take downs we tried had no effect. He was surprisingly agile and strangely relaxed. Finally, towards the end, I made the mistake of asking how much power his punches really had. This is not as crazy as it sounds. Many martial arts have very fast attacks that really do not do much other than sting when most people deliver them, and at the time I weighed in at 190 pounds with a lot of muscle, so I thought this was a good test. Ralph then did a quick demo of the “one inch punch” Bruce Lee was famous for. My feet left the ground and I flew about ten feet back into a wall. I have taken a lot of hits in my time, and this was by far the hardest one ever, and I did not breathe normally for a week afterwards. Needless to say, I signed up as a student shortly thereafter. For the average student, after six months of training one can expect to develop some solid base of fighting instincts. To master the system is, like any martial art, a long term endeavour. The problem with any student writing about his or her martial art is that they have an inherent bias towards the art they are in, and the majority of their audience will have their own bias towards their respective arts. Therefore, a commentary on why I think WT is great can be easily dismissed. Personally, I have a lot of confidence in the system, and have seen it tested regularly. It is vastly more functional than everything else I have experienced or seen in the martial arts world. To be blunt, a lot of what I have seen out there in terms of martial arts is not designed for real world self defense, and is very unlikely to work for most people in a real life confrontation. Anyone trying to use these methods will be lucky to avoid serious injury. To be fair, marketing aside, most martial arts are geared more towards fitness, sports competition, or cultural learning, so it is a bit unfair to measure them by the criteria of functional self defense. A lot of arts produce people in good shape, with good agility, who can act aggressively. Unfortunately, in a real life situation one is likely to be confronted with a bigger, stronger opponent who is highly motivated to do physical damage to you. This opponent may not use any recognizable technique, and is very unlikely to adhere to any sort of rules of fighting. The sad fact is most martial arts spend little or no time trying to give people the tools to handle this situation, yet this is precisely the sort of thing you should be trained for from a self defense standpoint. My Sifu asked me to give a brief recount of my experiences and opinions subsequent to joining his school two years ago. Probably the biggest impact on me has been in my views towards the fighting arts, and the state of martial arts today. I have no particular insight into the theories of the arts and am a far cry from being a hand to hand combat expert, but I have witnessed a fair bit and my insights, while autobiographical and anecdotal, might prove informational to the layperson. From a young age I have had considerable interest in the martial arts. As a youngster I took Tae Kwon Do for a year. In University, I took Aikido, and also was fortunate to spend a considerable amount of time studying Shotokan Karate. I have also attended classes in Tai Chi, Kempo Karate, and Boxing. Strangely enough, during the period in which I studied Karate in Saskatchewan, a plethora of martial arts schools were open in Saskatoon. Besides Karate Schools, there were clubs or schools for Judo, Tae Kwon Do, Kendo, Kung Fu, and even Ninjitsu! This was all quite interesting, and I had some exposure to all the styles, but I really preferred my Karate instruction as nothing else seemed quite as practical. I dropped out of Karate, some years passed, and I went through a sedentary couch potato phase, and then after some years passed, I went into a fitness kick, where I ran and lifted weights. After two years of this, I was bored out of my mind and contemplated plunging back into the martial arts. Owing to the popularity of Kung Fu thanks to a lot of films, plus the huge Chinese influence in Vancouver, I thought I would give Wing Tsun a try. 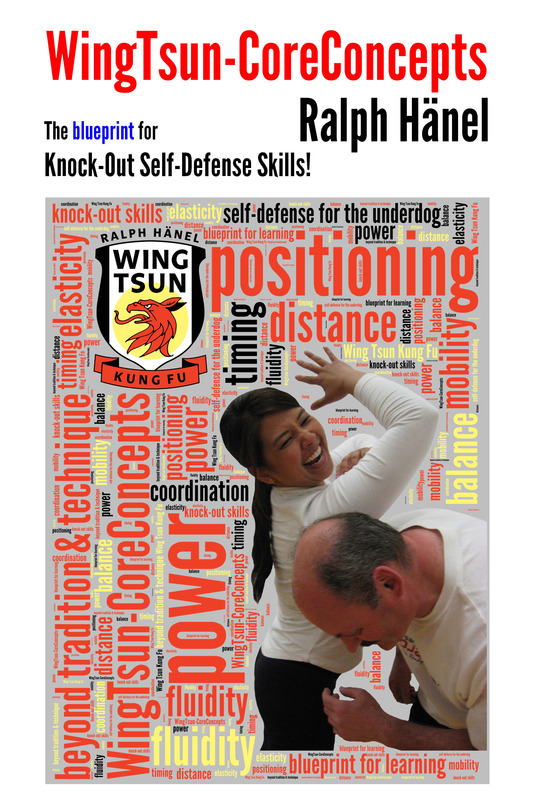 I went to the one of Sifu Ralph’s demo nights which was advertised on the web. I thought the website was sufficiently “pumped up” that it might be interesting. My wife and I arrived a bit early at the school’s location and I was a little surprised to meet the instructor who turned out to be a rather large, somewhat heavy German fellow. I have been to a lot of martial arts demonstrations from frauds and/or crazy people and pretty much figured this would be another one of those experiences. I mean, a heavy-set German guy, teaching Kung Fu –please! Come back tomorrow and read part 2. Yesterday I wrote that we will look today at a few methods to greatly improve your partner training, if within your class or naturally also, when you get together to train outside of regular classes. ** example punch: while you punch feel which part of the job is done by your shoulder, elbow, wrist; check your body movement: ankles, knees, hips, spine, become aware of the linkage between movements, the development of power, the fluidity of motion, the maintenance of balance, the timing of your actions, the distance to your partner, etc. Get the idea? Yes, once again it's about the CoreConcepts, using them like a check-list to improve. - example, show your partner no pressure and he/she naturally gets through, now use YOUR pressure and control any attack, the result? The ideal result should be, that your partner doesn't feel any difference between 'no pressure' and just 'enough pressure', which requires a lot of training. - also, let your partner attack you without any warning, control, and in the end even more important, attack instantly and/or continue to control this and any follow-up attacks. How (relatively) long can you go without 'losing' it? Once again, this is where the CoreConcepts come in (as mentioned on Sept 5th), that let you perform regardless of technique. Similar concepts could of course also be found in western boxing. It is in the end a great explanatory tool, a learning and teaching tool, to eventually simplify the training and help you to see a systematical approach throughout the Wing Tsun system, a connection from form to form, from form to exercises to application. The CoreConcepts build a interconnected framework that puts the right focus into your training, many drills "just" being practical applications of these CoreConcepts, so to say practical 'explanations' of this theoretical frame. Earlier this week I wrote a brief paragraph about the CoreConcepts of Wing Tsun Kung Fu, interconnected teaching and learning tools, my personal method of teaching Wing Tsun. ... and the list could go on. The Wing Tsun forms build a framework which allows us to develop the usage, the realization of these concepts. It's in the long run the intensity of our training, the ability to analyze our training, the how-to of our training which yields eventually results everyone would like to acquire, the ability of dealing with a scenario in a way that looks seemingly so easy. You can compare success or failure of your progress with a well-rounded fitness training. The comparison is simply designed for explanatory reasons. If one factor is missing, it will not be a well-rounded fitness training, the results will not be truly satisfactory. Come back tomorrow for tips on how to improve your partner training. Blog Archives - Check it out!